“It’s a lot of kids — it’s all of us,” the Grammy-nominated singer-songwriter laments, offering the impetus for her transformative orchestral-augmented rouser, “The Joke.” Carlile’s impassioned ode to queer kids soars during its pick-you-up chorus, when a tender tip-toe of piano balladry erupts into a fiery rocker with Carlile’s Chrissie Hynde-level wail, enkindling the spirit of all that is empowering and celebratory about individuality. Growing up 40 miles outside of Seattle, Washington, in a small town called Ravensdale, where her family lived in a single-wide, three-bedroom mobile home, Carlile transcended real life through the surrealist lens of 1984’s beloved childhood fantasy about a bullied outcast, The Never Ending Story. 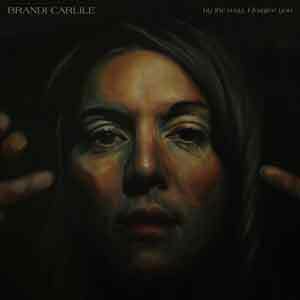 In 2005, when Carlile was 23, that arsenal of folk-rock idols assembled a foundation for her own roots music: a polished self-titled collection of campfire sing-alongs with mass appeal released on Columbia Records. 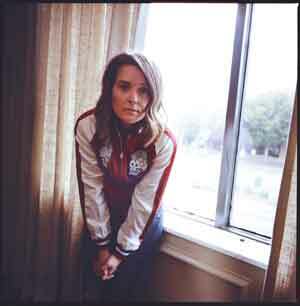 Four studio albums followed, including 2007’s The Story, which elevated her musical profile and led to TV spots on shows such as Grey’s Anatomy and an Adele cover of the album’s hidden track, “Hiding My Heart.” Produced by Americana staple T Bone Burnett, Carlile let the rougher edges of her booming instrument catch the light, particularly during the title track, her voice a tsunami of raw, thrashing power. But you’ve never heard Carlile quite like you do on By the Way, I Forgive You, an early contender for album of the year and her most accomplished, heartfelt set to date, her stunning voice carrying more weight than ever. With Grammy Award-winning producer Dave Cobb, best known for his work with famed roots-music fixtures Jason Isbell and Shooter Jennings, who co-producers, Carlile hunkered down with twin bandmates Phil and Tim Hanseroth in Nashville’s historic RCA Studio A. In the same studio where Dolly Parton, Nancy Sinatra and Willie Nelson once recorded, Carlile went for the same kind of impulsive intimacy of her live shows, and she achieves it: This album most wholly captures Carlile as if she’s singing to you from across the room. Her front-and-center voice conveys an abundance of in-the-moment spontaneity, making it impossible not to envision tears she might have shed while singing the wistful standout among standouts “Most of All,” a touching tribute to her forgiveness-instilling father and her mother, who “taught me how to fight.” On “Whatever You Do,” her restlessness is manifested through her heavy-hearted timbre and a cathartic gut-punch of a scream. Fade outs are to be expected at a Carlile live show, but generally not on a Carlile album — not until Cobb insisted outros could exist in both places. With earlier albums, the set’s peace offering, “Party of One,” may have been cut just after her recurrent line of devotion, “I am yours, I am yours,” but the cinematic ebbing of a mounting string arrangement by the late Paul Buckmaster is soothing and graceful — a warm bath after a long day. “Harder to Forgive” flips the script midway, morphing a familiar backwoods Carlile sound into a pummel of drum-smacked, piano-flecked rock, marked by a tremendous vocal that, again, ends with a delectably charged howl. She has now. 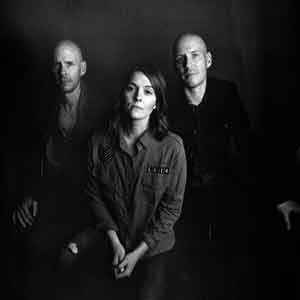 Nearly fifteen years into their recording career, By the Way, I Forgive You is a thrilling sonic turning point for Carlile and her band, with the revelation that their live presence can indeed translate to the studio. Carlile is 36 now. She’s a wife (to Catherine Carlile, whom she married in 2012), and a mother. And with that, the desire to nurture and be nurtured in a time of political discontent and total world chaos is apparent both in conversation and on the tender, soul-nourishing surface of these vulnerable compositions. Family has changed her. Since 2008, Carlile has enriched marginalized lives through the charity she co-founded with the Hanseroth brothers, called the Looking Out Foundation, which funds oft-overlooked causes and organizations related to the arts, gender equality and civil rights. Now more than ever, her music pledges the same: to give a voice to the voiceless. 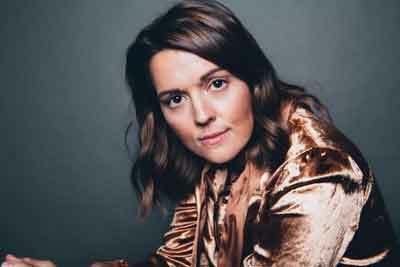 With By the Way, I Forgive You, Carlile’s show of compassion and mercy — passed from her parents down to her and now her daughters (Elijah is on the way), as the album’s threaded narrative goes — challenges that same power by merely existing. The message here is one of love: the love we learn, the love we lose, and the love we leave. As editor of Q Syndicate, the international LGBTQ wire service, Chris Azzopardi has interviewed a multitude of superstars. Reach him via his website at Chris-Azzopardi.com and on Twitter (@chrisazzopardi).